How Long Have You Been Teaching Here? People often ask how long I have been teaching Nia and/or Yoga. Sometimes a student will ask how long I have been teaching the class. In order for me to remember I have to think about something I remember specifically for one class where the supervisor called me when I was in the hospital visiting my mom. Then I have to think of when that was and try to piece it together from there. I did send out some information over a year ago regarding the class facts. It was kind of in the form of a thank you for keeping the classes going. I decided to post the information so I will always have it on hand and I can point people towards it. Nia at the Camden Community Center: Tuesdays and Thursdays at 9:00 am. Friday at 10:15 am. The Tuesday Nia class started on September 4, 2012. It has always been at 9:00 am. There was a Wednesday Nia class for a very short period of time in 2015. The Thursday Nia class started on September 22, 2013. Originally it was at 8:30 am, then in November 2013 it was changed to 8:45 am. Then in February of 2015 it was changed to 9:00 am. The Friday Nia class started in February of 2015. It has always been at 10:15 am. It follows a class that is at 9:00 am so that is why it starts at 10:15 am. The fifteen minutes in between classes is supposed to be for the out going class time to finish, clean up, and vacate the room AND allow us to come in and get ready. Gentle Yoga at the Willow Glen Community Center: Thursday evenings at 6:00 pm. 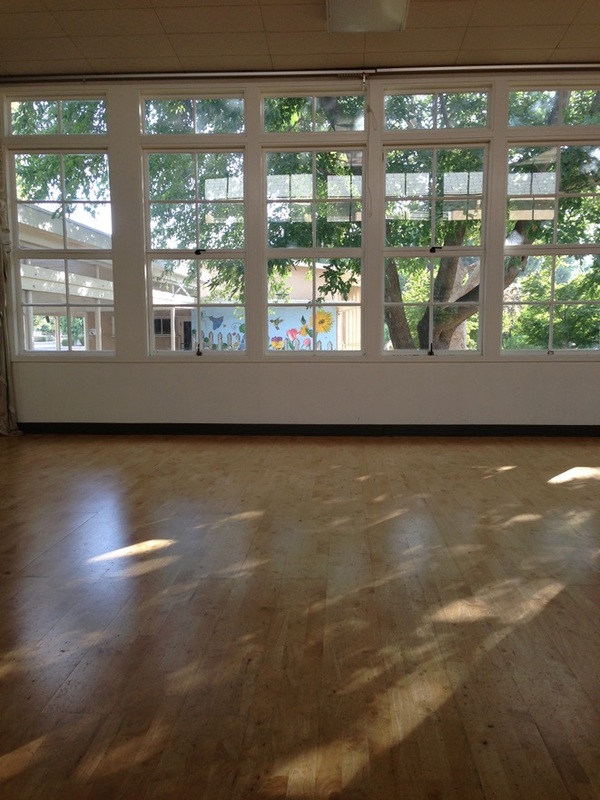 I started teaching the gentle yoga class at the Willow Glen Community Center on July 18, 2013. Originally I was asked to do it for one session. But then it turned into the next, and the next . . . This class is held at 6:00 pm. This class is part of the Leisure Class program, so students sign up for session. So sometimes there is a mandated break in between sessions. They do not allow for drop-ins at this center. Gentle Yoga at the Cypress Community Center: Tuesdays at 10:30 am. I started teaching the gentle yoga class at the Cypress Community Center on February 25, 2014. The original time slot for this class was 10:00 am. But it was moved to 10:30 am so that I could get there from my Nia class at Camden. This class is also is part of the Leisure Class program, so students sign up for session. Sometimes there are breaks in between sessions, but we work hard to not have them because we like to just continue without breaks. This community center allows for drop-ins. So you don’t have to sign up for the entire session you can just come take on yoga class if you would like. Stretch at the Camden Community Center: Thursday at 10:15 am. I started teaching the Thursday Stretch Class in May of 2016. The original time slot was noon, but it was moved so it could be after Nia. It has gone on hiatus at times due to various reasons (summer camps usually come in and take over the community center). This class is at 10:15 am, after Nia. All classes are an hour long. Nia and Stretch are part of the SJCITY Fit program. The gentle yoga classes are a part of the Leisure Class program. There have been other class that have come and gone. I started teaching in 2009 at a studio I rented in Willow Glen. I did that for four years. I have also taught for the City of San Carlos. I worked for a little fitness studio, I taught at other community centers in San Jose, and I rented other studio space. But since those classes are not longer happening, I didn’t make note of those dates. I am very fortunate to have such great students and to teach these classes. It is common knowledge among fitness instructors that a class can be cancelled at anytime, especially at city community centers. If there are not enough students then the class gets cancelled . . . makes sense, that is just the way it is. So that we have had these classes for so long is just the biggest blessing. I am grateful. This entry was posted on June 6, 2018 at 6:50 pm	and is filed under Nia, Yoga/PiYo/Pilates. Tagged: City of San Jose, Cypress Community Center, exercise classes, Group Ex, Leisure Classes, Nia at Camden, Nia Classes, San Jose City Community Centers, SJCity Fit, stretch class, Willow Glen Community Center, Yoga. You can follow any responses to this entry through the RSS 2.0 feed. You can leave a response, or trackback from your own site. The gentle yoga class sounds great. All the best with your classes!